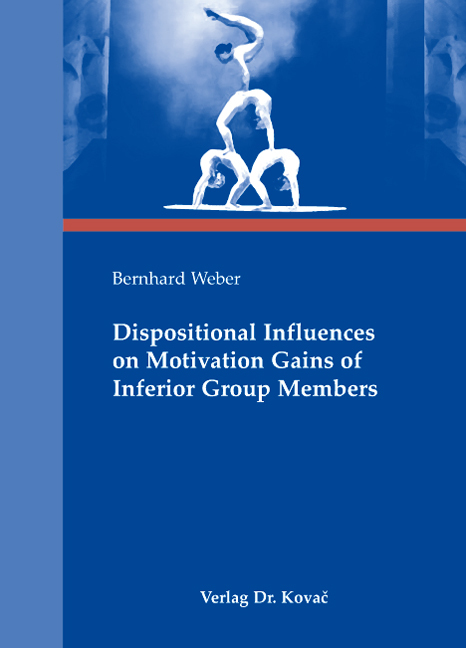 Dispositional Influences on Motivation Gains of Inferior Group Members. Doktorarbeit von Bernhard Weber, Verlag Dr. Kovač 2008, 168 S.
In recent years, a growing number of studies have demonstrated that inferior group members sometimes exert higher efforts when working collectively compared to individual work. Prior research identified two main processes underlying these motivation gains: social comparison and social indispensability. While prior research primarily focussed on situational moderators of these processes, dispositional variables have been neglected. In order to fill this gap, this thesis examines the impact of gender and associated differences in social orientation on motivation gains in a series of experimental and meta-analytical studies. Results indicate substantial influence of social orientations (like competitiveness or group loyalty) on motivation gains of inferior group members. Practical implications for designing conventional and virtual team work are discussed.